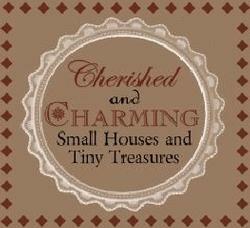 Rarely seen tiny objects from the collections of Nancy Forsberg and Susan Deeks. You'll also have a final chance to buy tickets and win prizes in the HSRC annual holiday raffle, including a winner's choice of dollhouse or miniature scale horse barn; original 1962 Barbie doll; cat- and dog-themed gift baskets featuring charming pop-up cards; and a Christmas stocking stuffed with vintage toys! The drawing will take place at 3 pm. Proceeds of the HSRC Holiday Programs benefit the preservation and education efforts of the Historical Society of Rockland County, a nonprofit educational institution and principal repository for original documents and artifacts relating to Rockland County. Our mission is to acquire, preserve, and exhibit objects, buildings, and sites that reflect the history of Rockland County and the Lower Hudson Valley and to research, document, promote, and publicize the county’s rich historical heritage for the people of Rockland. The HSRC’s headquarters at 20 Zukor Road, New City, New York, consist of a four-acre site featuring the 7,200 square foot History Center; the historic Jacob Blauvelt House; and the post-and-beam Historic Barn and Carriage House.